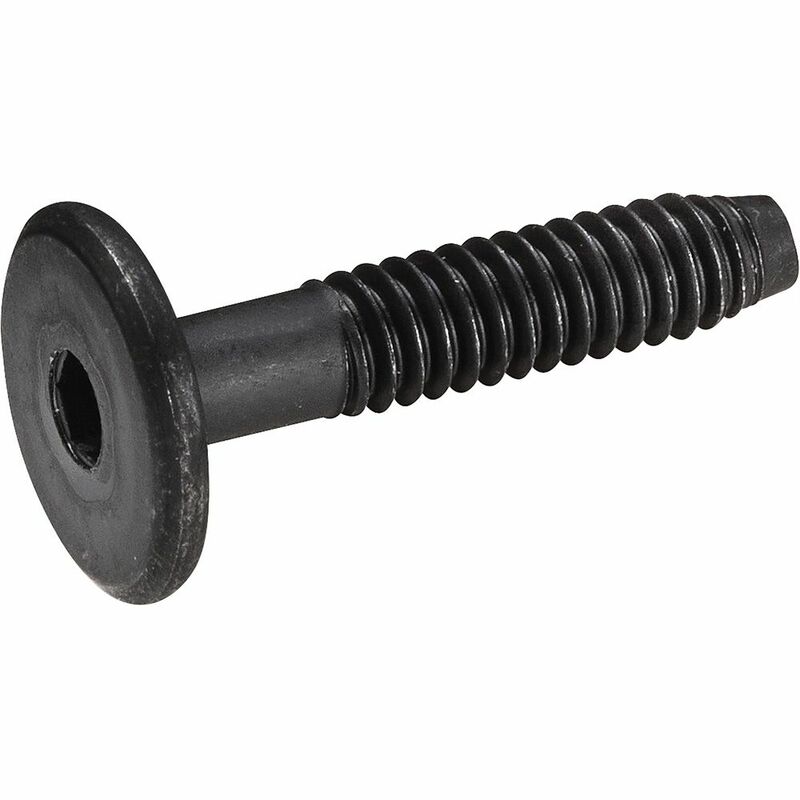 Statuary Bronze or Black Oxide finished steel bolts for joining wood together. Ideal knock-down fitting for rapid assembly and disassembly of knock-down furniture. 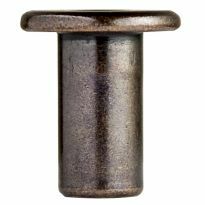 Cap Nut shown is sold separately and fits all length bolts available above. Thread 1/4'' x 20 thd. I am very happy with the cross bolt and bolt from Rockler. It simplified construction of the crib I made. Assembly was a consideration. worked well fjor what I meeded. This is a very good soft wood fastener. Worked just as needed for project. I had to replace some stripped out and missing connector bolts on a couple of nice mid-century modern sling chairs from a doctor's office when the doc retired. The bolts work great and look very professional. Thanks Rockler!!!! They are a little hard to fit and "not" cross-thread. Once accomplished they did the job I intended and looked according to the design vision. They are for a stereo tower, to match the existing bolts. For a table I am building. I bought a bed in which pieces are missing and this looks like it will work. The ones we ordered were too short. I chose these fasteners for mounting head and foot boards to our beds. These items were needed to repair my office desk. Wish these were longer for joining two 3/4" bookshelf sides together. At 1 1/8" it will barely fit into the cap nut which is only 11/16" long. There is an unthreaded "tip" on the bolt. So I figure only about 3/16" of threads will engage. Wish they were longer - like 1 5/16". 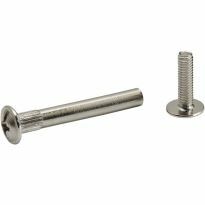 I ordered these because I did not feel like cutting down the next size longer 2" bolt. also needed for current project. perfect to assemble a bunk bed, I could not found it anywhere else. I want to glue rocks to the nuts for handles on my cabinets. I was given IKEA furniture that was missing 4 sets of bolts and cross dowels. It turns out that this piece of furniture has historically been short parts. Inconspicuously refasten legs to an old table. To put together a bed that has lost pieces of hardware. To build a steel computer desk with laminated MDF top. To go with the cap nuts. 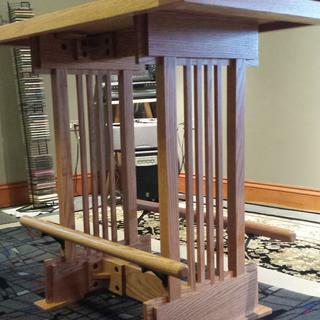 Part of a small trestle table project. 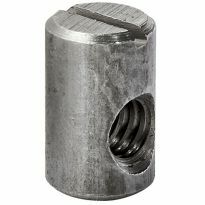 Looking for a drill bit for connector bolts that will drill the countersink for the head and the shaft in one operation without over-drilling the depth for the head? i want to join two sheets of 3/4" plywood together face to face. This will hold a headboard onto a bed. 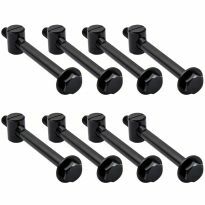 Will these do, and how long do my screws need to be? As far as will these hold a head board, it will depend on how large the head board, and the frame strength bolting it to. The bolt length I suggest would be head board plus bed frame plus flat washer. May want to consider using a lock nut to keep it from loosing. The good thing about these bolts is if you install them from the back toward the bed the bolt head I will not damage the wall. Should work fine. I use them to join the plywood sides of book cases. They have a finished look and are much more attractive than hex bolts. what is the size and thread count for this bolt? BEST ANSWER: This connector bolt is 1/4 inch, 20 threads per inch. It is available in 5 lengths from 1-1/8 inch to 4-3/4 inches. do you have bolt for connecting rails to headboard, I need 3/8" diameter 4" length? BEST ANSWER: Unfortunately that item is not available from Rockler. 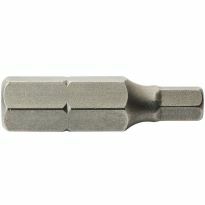 The bolts Rockler sells are 1/4"x20 tpi...I don;t believe they carry them in 3/8" diameter. are these ok to use to join side rails of a bed to the head board? BEST ANSWER: I do not think so. I think these connector bolts are only 1/4". There are bolts made for connecting rails to headboards. I think those would be at least 3/8". That is a good question. 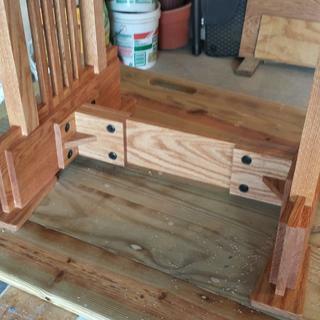 I used these to connect the rails and legs together for a maple workbench and were very solid for that application. Thanks. Thinking of using these for quick disassembly. 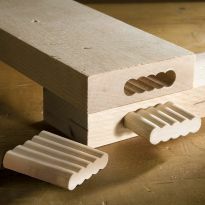 If I cut a mortise and tenon joint and Use these to secure them instead of glue, that should be good. Exact reason why I used them so that I could do a quick disassembly if and when we decide to move. They provide a rock solid joint. can these be used on outside furniture? BEST ANSWER: Functionally, I can see no problem using them outside. If scratched they may rust, but they could easily be recoated if that was the case. I live in Michigan, winters are harsh, but I would use them if I had furniture that I wanted to break down each year for storage. If I am trying to join dimensional lumber, specifically two 2x6 it would have a total thickness of 3". So what size connector bolts would I need? Thanks. BEST ANSWER: I used the 2" to connect multiple leaning shelves into one wall unit. The units were made of 1" dimensional lumber. It's easy to order up a size and trim the 1/4"-20 threads with either a grinder, hacksaw. If you really want to go custom, grab some 1/4"-20 allthread and some of the Rockler "Cap Nuts for Connector Bolts". Could these be used to screw an inside staircase railing to a post? Instead of a finishing washer and screw?